Scientists are now exploring the hypothesis that dark matter is actually made of primordial black holes. Groundbreaking observations at the Laser Interferometer Gravitational-Wave Obseratory (LIGO) have led some scientists to postulate that dark matter may be made up of primordial black holes. Unlike black holes that were formed later in the history of the universe, primordial black holes are not formed by stars collapsing. Alexander Kashlinksy of the NASA Goddard Space Flight Center explained their formation by comparing the Big Bang with spinning pizza dough,”After a while, you will notice it has these holes in the texture of the pizza dough. It’s the same with space-time.” The holes in the dough represent black holes. In September of 2015 LIGO scientists first detected gravitational waves created by the collision of two black holes. Astronomer Simeon Bird of Johns Hopkins University took this discovery further to hypothesize that the colliding black holes were actually primordial. Kashlinsky ran with this idea and began studying the implications. 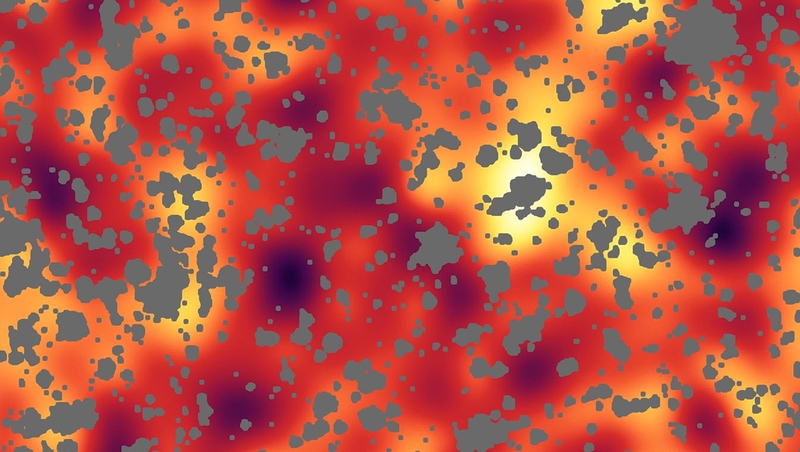 “These studies are providing increasingly sensitive results, slowly shrinking the box of parameters where dark matter particles can hide” Kashlinsky says. The gravitational waved detected by LIGO indicates the black holes that collided to create them are much too big to be conventional stellar black holes, but not big enough to fit into the understanding of supermassive black holes known to be in the center of galaxies. However, these measurements do coincide with established predictions of the mass of dark matter, making a clear argument for the relation of the two. While an exciting idea, there is not enough data to prove the hypothesis can be gathered by this single observation of the gravitational waves. Future observations will play a key part in studying these claims.